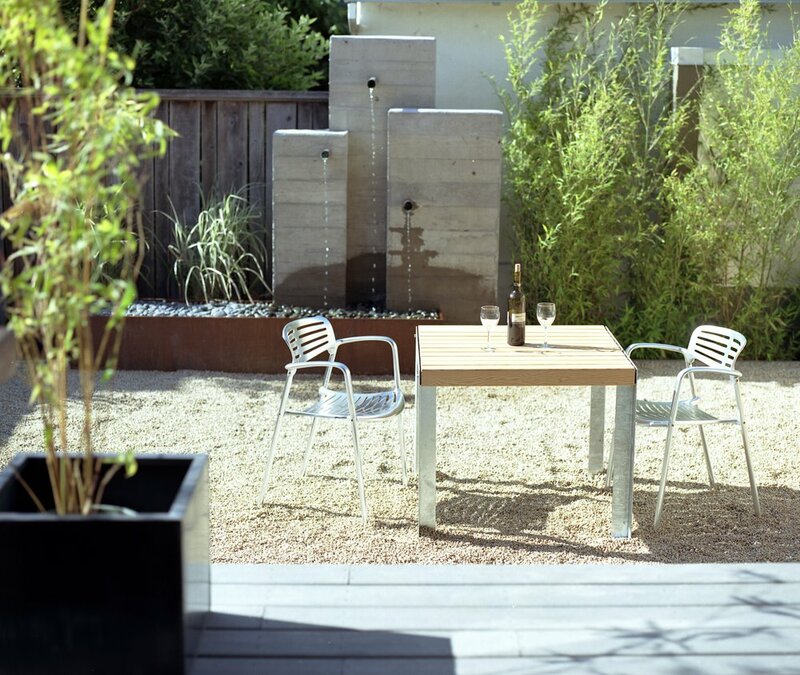 On a tight urban site this complete renovation transforms a tiny bungalow to a light-filled, solar powered, modern space. 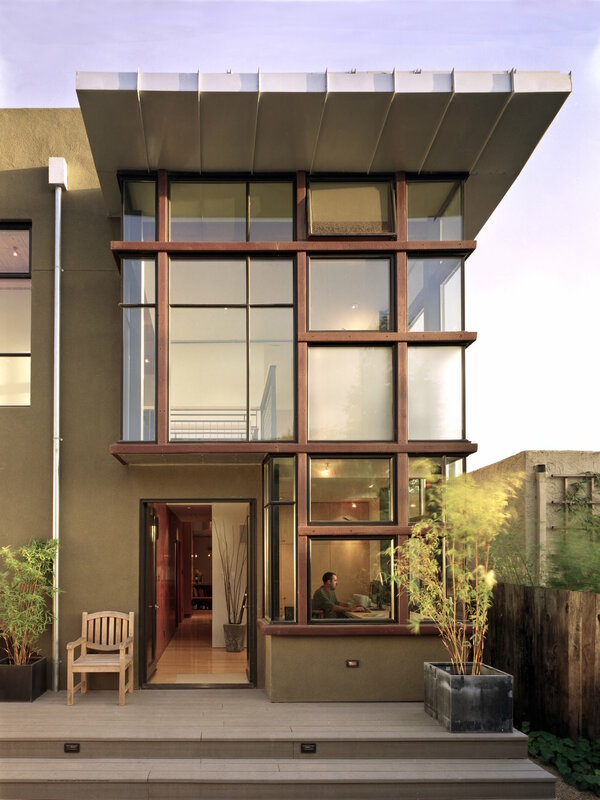 A two-story glass wall at the rear provides a strong connection to the backyard and floods light into the upper floor. A solar system on the roof provides all the electricity for the house. 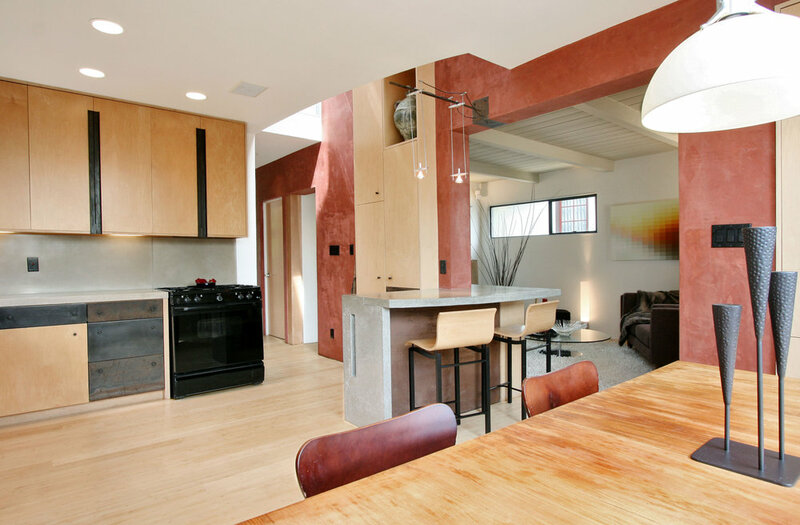 Green building was paramount to the design of this remodel. Recycled and sustainable materials, including roof beams, bamboo flooring, bamboo cabinets and decking are some of the green elements in the project. This property was one of five notable homes featured in the 2017 AIA East Bay Home Tour, drawing hundreds of visitors.